Explore all that winter has to offer in the Sorel Explorer Joan boots. This women’s winter-ready boot is made from waterproof full grain and suede leather and has a breathable waterproof membrane. A microfleece lining, faux fur collar and 100g of insulation keep you toasty and an EVA midsole offers protection from the cold ground below. A removable molded PU footbed with microfleece top cover adds another layer of warmth and an EVA outsole with rubber pods provides the traction you need in winter conditions. 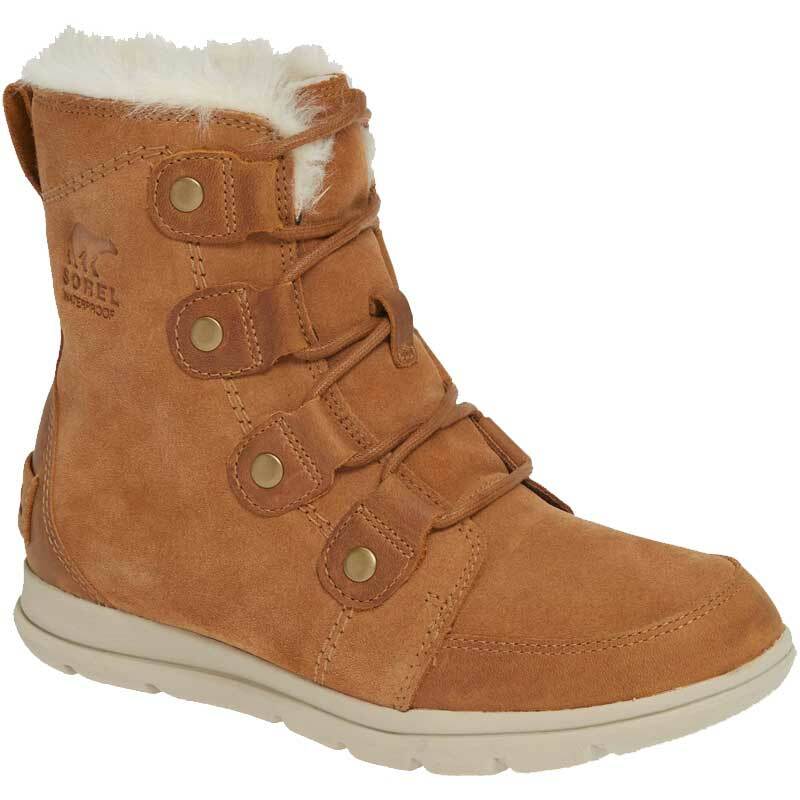 Go exploring in cozy style with the Explorer Joan from Sorel. Founded in 1962 on the frozen plains of Canada, SOREL brings its functionality and heritage of expert craftsmanship to the modern world of fashion, where it is inspiring a new generation of doers, builders, and creators. And though SOREL makes more than just boots, there’s a boot in everything SOREL makes. From light and airy sandals to full-coverage snow boots, SOREL combines felt, wool, premium leather, and flawless construction with people who aren’t afraid to get their boots dirty.